Moin, Moin! So you've spent the day following all my tips on what to see and do in Hamburg and now you're bloody starving, right? Well, then you've come to the right blogpost. 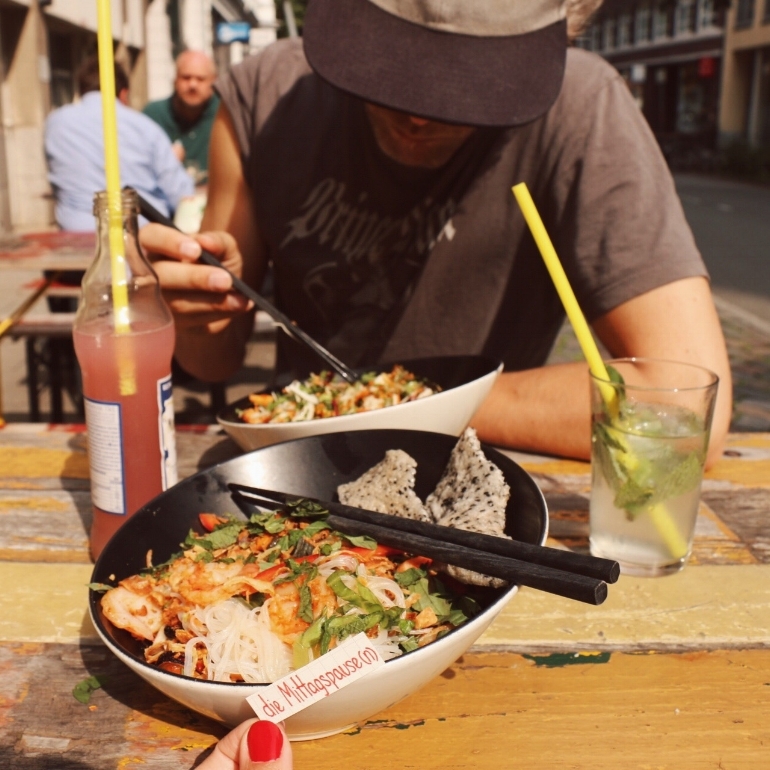 In my two trips to Hamburg we've discovered a plethora of tasty cafes, restaurants and bars. Here are a few of my favourites. Hamburg was traditionally a trading hub for coffee and the little brown bean helped to make Hamburg's port what it is today. So it makes sense to start here. Unfortunately coffee and good food don't always go together so this section is solely dedicated to the brown stuff. Tørnqvist - The first time we visited Hamburg Tørnqvist was a little cafe but it looks like the owner has now upped sticks and is travelling around in a VW camper van serving tasty coffee wherever he goes. 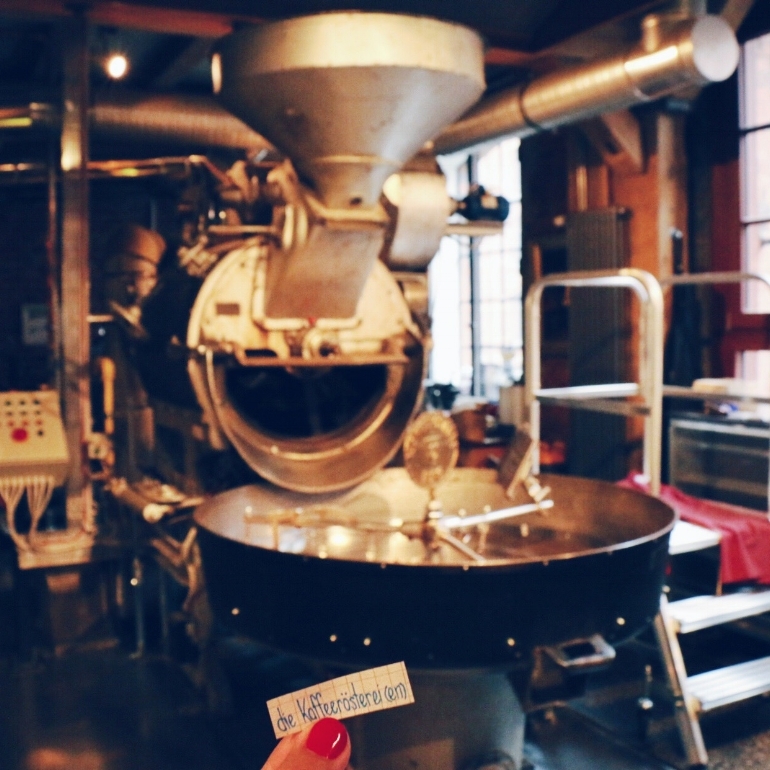 So chase him down via his Facebook page and go have some of the tastiest coffee we've tasted in Germany. No lie. less political - If the idea of chasing after the Pied Piper of coffee as he trundles around in his VW doesn't appeal then you might want to head to this place instead, especially if you're in the Sternschanze area. 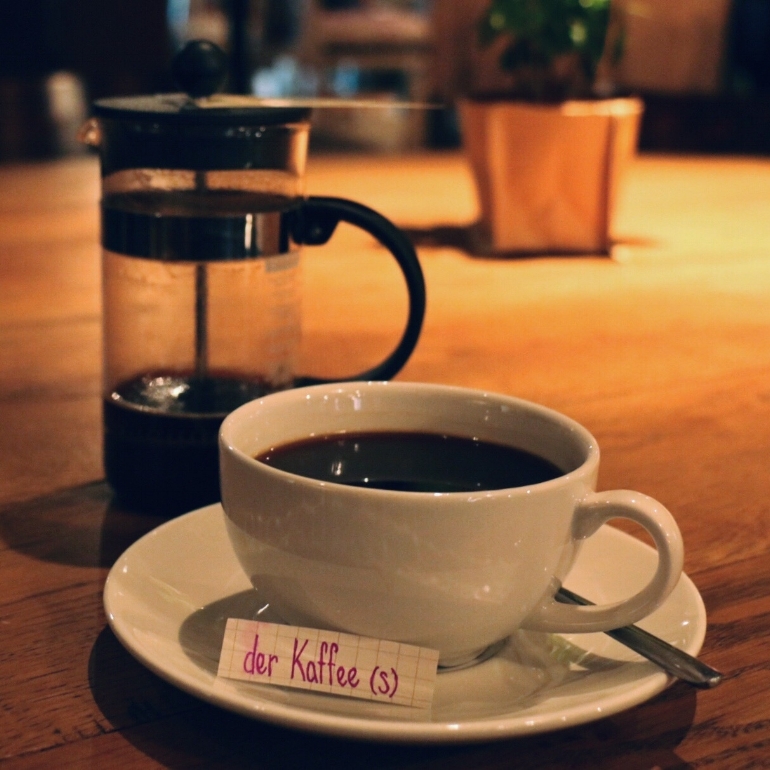 Nordcoast Coffee - If you've been following my previous tips on Hamburg then you'll probably find yourself around the Speicherstadt area at some point. If you're in need of a coffee break then this is the place to head to. Their Franzbrötchens are to die for. I had never had one before but their's got me addicted. Head to the back of the cafe and you get a relaxing view over the canal too. They also have a decent breakfast menu—good coffee and good breakfast, in one place... amazing! Kaffeemuseum - This one is a little out of leftfield. It's not your traditional hipster coffee house. But considering the Speicherstadt area sprang up partly because of coffee then it is well worth visiting this place. You can take a tour of the museum or, if you just want your caffeine hit, then you can choose from a wide variety of coffee. I tried coffee that had been pooped out by a Civet cat... it was an experience. 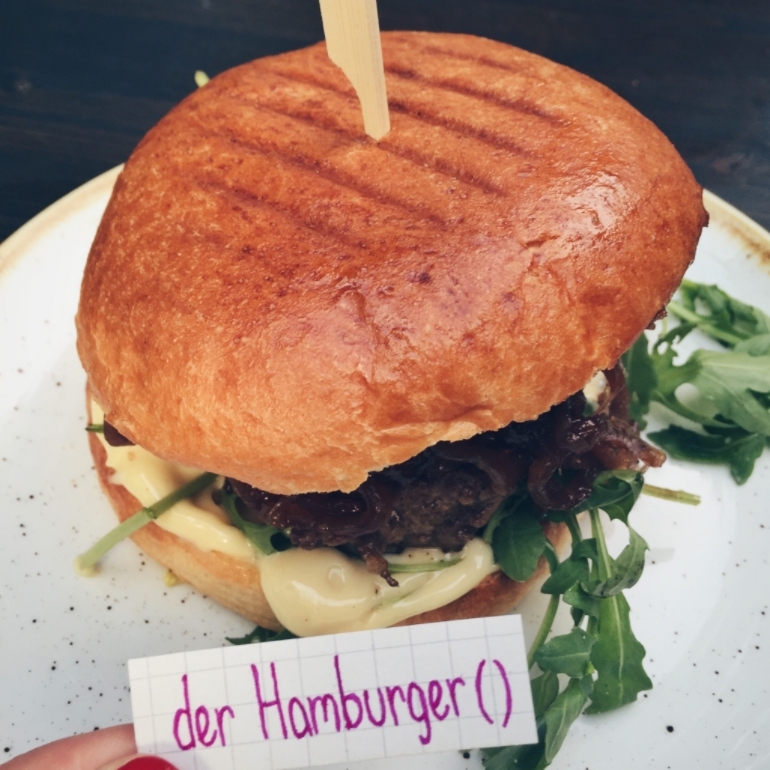 We took a couple of wrong turns the first time we came to Hamburg so we asked some locals and ended up at these super tasty places. Cafe Latte - If you're going to start a day of sightseeing then you should start off on the right foot. And seeing as you're in Germany you should probably start off with a good German breakfast of cheese, ham, egg and lots and lots of bread. If that sounds good then head to Cafe Latte. The place gets pretty busy so don't turn up starving. The Burger Lab - A friend runs this place so I knew it would probably be pretty good. It was way better than I expected. They make hamburgers but not just any hamburgers—fancy hamburgers. I had the tastiest calamari and chorizo burger. It doesn't sound like those two ingredients even belong together, but it's a match made in heaven. Believe me. O-ren Ishii - Working in Mitte you eat a lot of Vietnamese food so whilst this place was tasty it wasn't any different from the Vietnamese food you get in Berlin. But, having said that, if you don't spend a lot of your lunchtimes drinking Vietnamese coffee in Mitte then this makes for a great lunch or dinner place. There are a few tables outside so it's particularly nice when the sun is out. Coast by East - When I find myself next to large masses of water there's always one thing on my mind—where's the best seafood at?? We were recommended this place around the Speicherstadt area, and the sushi did not disappoint. It's on the pricier side so don't go expecting a cheap meal. It's party time... kind of. My clubbing til morning nights are few and far between these days. In fact, I much prefer to head to a nice bar and enjoy a few gin and tonics, or Gin Tonics as they're known in Germany, before heading to bed. Here are a couple of places that we really enjoyed. Clockers - Makers of a tasty Hamburg gin, they also have a great cocktail bar. This was one of my favourite parts of the trip. We propped ourselves up on the bar and talked German all night to the barman as he made us one cocktail after another dependent on what we felt like. What made it so special was that he was willing to stick to talking German to us despite our terrible grammar mistakes and occasional nonsensical sentences. He also gave us a whole heap of good tips of places to check out. Schankwirtschaft - A couple of streets back from Reeperbahn is this great craft beer bar. Again, we propped ourselves up on the bar and worked our way through the blackboard of beers on tap that evening. The best thing is that you can get small glasses so that you get a taster of everything without having to fully commit to a huge pint glass. Just watch out for those craft beer hangovers... they're a killer. Honourable mention goes to the St. Georg area recommended by 'Psyched' in the last blogpost. I haven't been there but apparently it's the gay area with some cool restaurants and bars. Got a favourite place in St. Georg? Let me know in the comments below. Take a wander around St. Pauli and Sternschanze and you'll come across a ton of boutique and second-hand shops. T-Rags - T-Rags is a shop that seems to house a lot of Germany-based fashion designers. I got sucked in to the shop because of the great t-shirts by Berlin-based designer . Pick & Weight - Kilo Store - This is a great second-hand store where you pay for your clothes in kilos. There's a great selection of stuff and if you go for a load of super-light clothes then you might find yourself a bargain! After all that shopping, eating and drinking it's time for bed. The Hamburg council put me up in the arty Hostel Superbude which is a boutique hostel/hotel. The location was great with just a short walk to good cafes and restaurants. It was great to stay in a place with a bit of character. That's all my tips for Hamburg for now. If you have any then be sure to let me know and I'll check them out on my next trip to the city. In the meantime, here's a handy little map with all my favourites. Ah, summer holidays! I love travelling and discovering new places but every so often nothing beats a summer holiday where you do absolutely nothing– one where it's been a big day if you moved from the swimming pool to the beach, or if you didn't get your afternoon siesta. Yeah, you know the ones I mean.